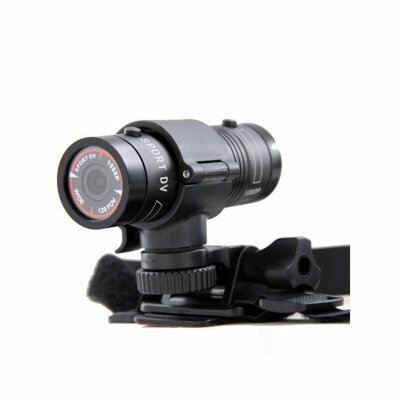 Successfully Added Mini Full HD 1080P Camera HD Bike Motorcycle Helmet Sports Action Camera Video DV Camcorder Car Video Recorder to your Shopping Cart. Suitable for riding, diving, skiing, skating, surfing, etc. Ultra small size can be installed on the helmet easily, convenient for photography and carry with. 120 degree ultra wide angle matching with high resolution lens deliver multiple shooting, excellent sports camera. Built-in 1/4" low noisiness and high definition CMOS, can catch ultra clear pictures in dark environment. Aluminum alloy case can be waterproof, suitable for extreme outdoor activities. Suitable For: Riding, Diving, Surfing, etc.